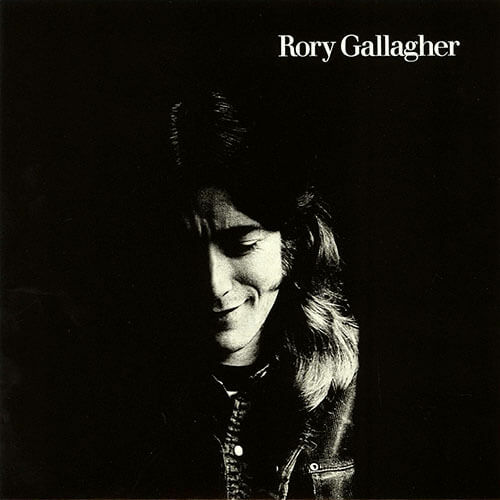 Irish blues guitarist Rory Gallagher had a unique style and a unique tone. In march 2008 we flew down to London on a mission to try and recreate Rory’s favourite booster, the ‘Hawk’. With help from Rory’s brother (and band tour manager) Donal Gallagher, Tom O’Driscoll (band amp tech) and Daniel Gallagher (Donal’s musician son) we meticulously photographed and carefully measured every component on Rory’s original Hawk. 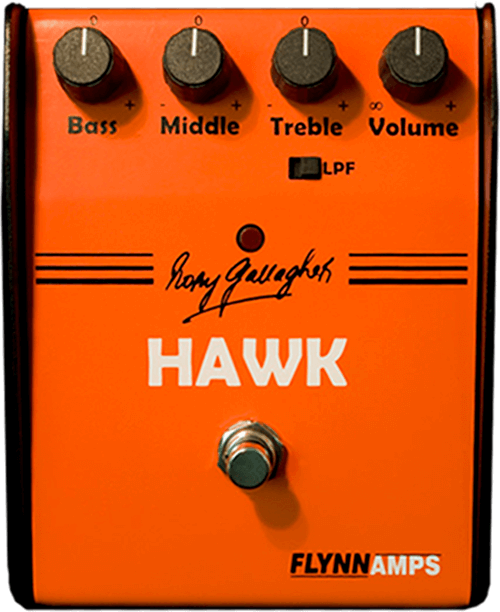 From these photographs and drawings our Rory Gallagher signature Hawk booster was born. Rory’s original booster was well used but otherwise functioning as it should. Very carefully it was deconstructed and each component measured and recorded. The circuit was redrawn exactly but we upgraded the design with more reliable rotary pots instead of the original sliders. 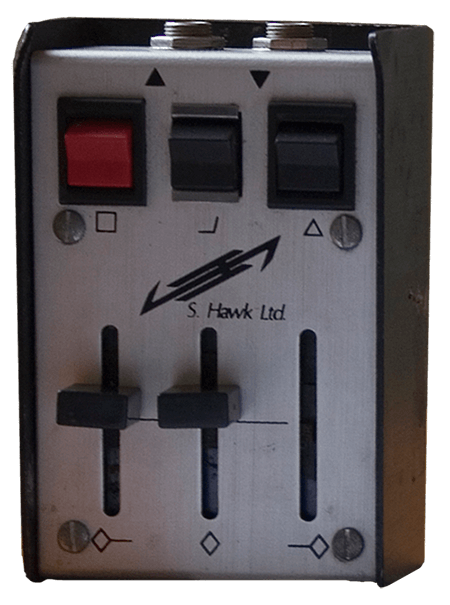 The original booster also had a two way volume switch which we changed to a variable rotary pot control. C&K switch’s, Switchcraft sockets, Tantalum caps and the best low noise components make the Flynn Amps Hawk a fitting tribute to the worlds greatest blues guitarist. Tube amps sound great when cranked but can often sound a bit mushy and lack definition at full load. One of the reasons is the limited dynamic range from your guitar input, usually way less than 1v peak to peak at maximum signal levels. When using a booster you can increase the maximum level at the amp input to several volts. This now gives you a much wider signal change between your loudest notes to your softest notes. The sonic effect of this is amazing touch sensitivity and control of your drive, all from your fingers and guitar volume pot. 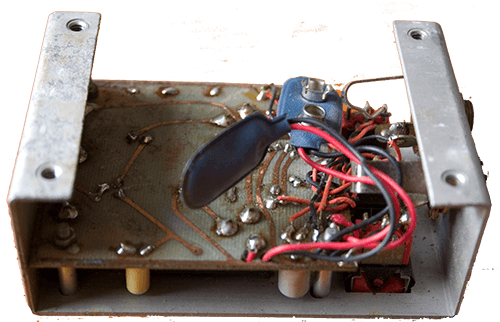 Most distortion pedals use diodes and op amps to clip your guitar signal and create artificial distortion. 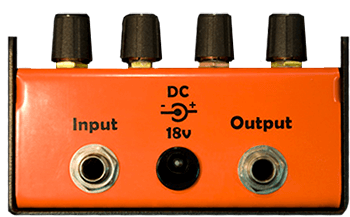 Great if you want that buzzy fizzy tone but not really a true overdrive. Overdrive literally meant giving the amp a kick to distort the tubes more. 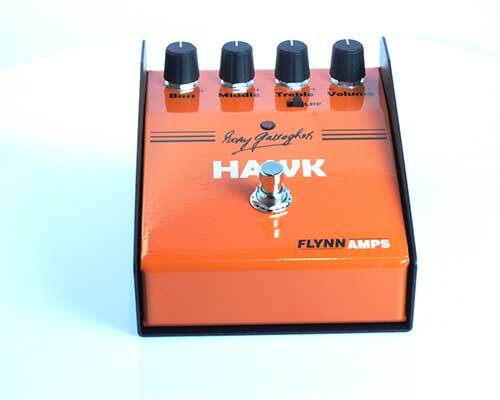 Turn your amp gain back, turn up the boost and feel the difference!